It's a perfect time to make money in 3D printing, while it's still a relatively new concept for many people. Designing and printing 3D products is not mainstream yet and not everyone has a 3D printer at home, you have an opportunity to use your expertise and printer to make some real money. You can cash in on 3D printing in several ways. Even if you don't own a 3D printer, you can sell your 3D objects or designs or teach other people how to 3D print. Regardless of where you are in the printing or designing process, it takes only a little digging to see how the money can come in. One of the best ways to make money with a 3D printer doesn't require that you own a 3D printer. If you have designs for a 3D printer that someone with a printer (or with access to a printer) wants, they might very well purchase your designs. Shapeways is one place where you can open a 3D printer shop. These folks are the Etsy of 3D printing. If you have designs or models ready, you can make them available at the Shapeways website for customers to buy. Because it's print-on-demand, nothing is made until a customer orders it. Shapeways has all the tools you need to build an online store. Plus, the site offers a tool called CustomMaker you can use to make your designs customizable, which is one way to let your customers turn your 3D designs into something more personal to them. If you already have 3D printed objects, you can start selling them yourself anywhere, be it on Facebook or in dedicated shops like eBay or Etsy. Shopify is another e-commerce platform that works well for small businesses. Another way to sell your 3D prints is to advertise them as such. Tell your visitors that you can print for them, and all they have to do is order from you and wait for the print. This takes the hassle out of them having to find a place to use a 3D printer. Then, when someone orders a 3D print from you, you can print it at home if you have a 3D printer or have your designs printed at a place like Shapeways or another 3D printing service. Just ship the print out to the customer, and you've made money 3D printing. Another way to cash in on 3D printing is to offer local engineering firms help with 3D printing prototypes. This is a good idea if you're a 3D designer because you don't have to worry about the printing yourself. Just design products for them and have them do all the printing. Chances are they already have a printing service or on-site printing capabilities. Lots of people are interested in 3D printing, especially students who are looking for careers in 3D design or 3D printing specifically. You can offer to teach classes for a fee and teach students how to set up and use their own 3D printers. Finding 3D printing teaching jobs might be difficult, but advertising on social media sites and job offer websites is a place to start. 3D Hubs and MakeXYZ have been growing like crazy and offer a nearly instant way to get into business as a 3D printer owner. You list your printer on their networks, and potential customers, usually local, can find you and request 3D printed work to be done. 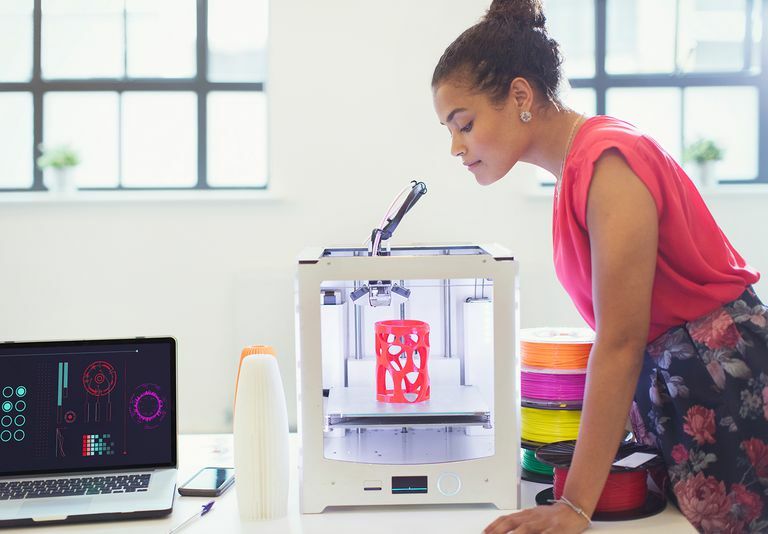 Consumers, business owners, and busy engineers at large companies are often in need of 3D printing help. You can be the one to provide that service, locally or online, if you are willing to ship items to customers. Jewelry designers can scan their designs and migrate to a 3D model and print sales process, which is similar to the custom options, but you could do this solo as long as you have a printer or a service. Locate electroplaters in your area and find a way to combine forces. RePliForm works with anyone who has a 3D printer, but you could find platers in your area who would welcome new work, and then you can offer to coat your prints in nickel, silver, or gold. Find a computer graphics (CG) expert or CG animator and offer to team up on creating physical 3D prints of animated characters — or go bigger and pursue licensing deals, like Whiteclounds is doing.